You have an intrinsic design that seeks expression. Within you resides a special combination of gifts: talents, interests, skills, personality traits and much more. There has never been anyone else like you in human history, and there never will be another you again. All of God's creation has purpose, and you are no exception. You are called to be "you": the unique, gifted, capable person who was designed by God and created to fulfill a divinely appointed purpose with your life. Your inherent design is the foundation of your individual vocational calling. (Vocational calling refers to work or volunteer activities that use your gifts.) Discovering your design and finding a place to use your gifts can be challenging, however. The world around us changes rapidly and presents us with a staggering number of choices. 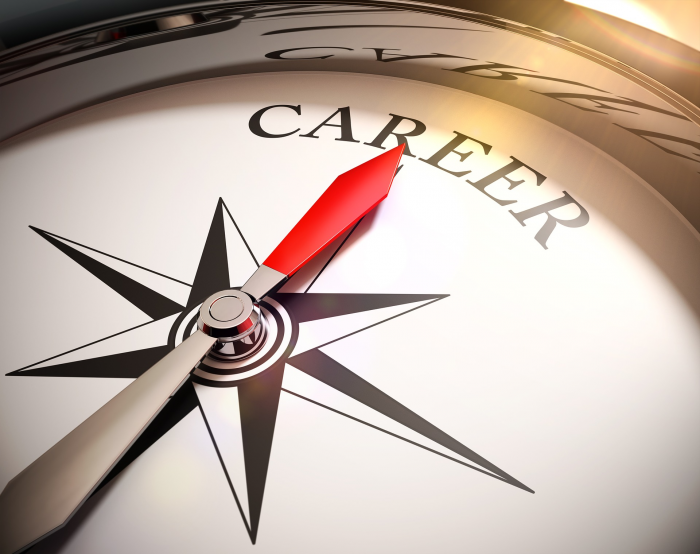 How do we choose which career path to take? And, more importantly, how do we discern what God wants us to do with our life and gifts? When we are unsure of which way to go, it is helpful to have a compass for guidance. A compass points to "true north," which is an objective, external reality that we depend on for direction. Similarly, eternal truths exist that provide a true north orientation for your life. These three biblical "compass principles" will keep you on course as you search for your vocational calling. Life Calling Compass Principle #1: God calls you to keep your primary calling primary. Life Calling Compass Principle #2: God calls you to use your gifts to serve others. Your God-given design is a gift from your Creator, and it gives you essential clues about what God wants you to do in the world. Elizabeth O'Connor said, "We ask to know the will of God without guessing that his will is written into our very beings. We perceive that will when we discern our gifts." God has given you gifts so that you can use them to benefit others, and to bring recognition and honor to him. Our human nature encourages us to focus on our own needs. God, however, calls you to direct your attention to the needs of others. He knows that we will experience the greatest joy in our lives when we invest our gifts and abilities to meet needs in the world. Needs come in all shapes and sizes. Every job meets some type of need. A key part of finding your vocational calling is discovering which types of needs you enjoy meeting. You will experience a greater sense of purpose in your work and volunteer activities when you care deeply about the needs that you are serving. God cares about all of the needs in this world. He doesn't separate life into "sacred" and "secular" categories. We can do God's work in the pulpit or in the factory. You are called to be a "full-time Christian" wherever you are and in whatever you do. God calls some of his people to work in churches, mission agencies and Christian organizations. And He calls many others to work in the marketplace. Andy Stanley emphasizes the importance of our serving in non-religious contexts: "The truth is that our secular pursuits have more kingdom potential than our religious ones.... It is there that God desires to demonstrate his power through those who are willing to be used in such a way.... [E]very role, relationship, and responsibility carries divine potential." Life Calling Compass Principle #3: God calls you to proactive stewardship of your gifts. God calls each of us to a life of stewardship. The Bible teaches that everything you have-your time, skills and abilities, relationships, money and material resources, and the message of the gospel itself-are gifts God has entrusted to you to manage and use wisely for the good of His kingdom. We live in a time and place of tremendous opportunity. With opportunity comes responsibility: "From everyone who has been given much, much will be demanded; and from the one who has been entrusted with much, much more will be asked" (Luke 12:48). We may experience seasons in our lives when we have to take "just a job" to pay the bills and provide for our family. In general, however, we have great freedom in the United States to make choices about what we do to earn a living and where we invest our time. God calls us to use our freedom and opportunities responsibly, exercising stewardship over our time, talent and treasure. Jesus used "The Parable of the Talents" (found in Matthew 25:14-30) to teach us about the stewardship of our gifts. In the story, a master leaving on a long journey entrusted his money to his three servants. He gave the first servant five talents; the second, two talents; and the third, one talent. The first two servants figured out where they could get the best return on the money and doubled their investment. The third servant, however, dug a hole in the ground and hid his portion. This parable suggests that God has given you valuable gifts. Although the servants were given different amounts of money, each was given a substantial amount. A "talent" was a unit of weight. In today's dollars, one talent of gold would be worth more than $500,000! The "talents" in the parable can be seen as a metaphor for our God-given gifts. Given that the monetary examples are large amounts, we can deduce that even a "one talent" person is given a significant measure of abilities. Second, you only are responsible for what you have been given. The servant given two talents was not held accountable for producing as much as the one given five talents. On that day that each of us stands before God, we will not be compared with anyone else. What you do with your life will be judged only in light of what you could have done with the specific gifts that God has chosen to give you. You only have to be who God has created you to be; you only are called to accomplish what He has designed you to do. Third, you need to be proactive and take risks in order to invest and multiply your gifts. The servants were not told what to do with their talents. They had to plan and make decisions about how to invest their talents. They also had to take risks to achieve results that would please their master. Fear stopped the third servant from investing his talents. While fear is a normal human emotion, it is not an acceptable excuse for inaction. We need to learn how to manage our fear so that it doesn't prevent us from being good stewards of our gifts and living our calling. Your vocational calling emerges out of your relationship with God, so inevitably there will be a dimension of mystery to it. These biblical "compass principles," however, will guide you as you partner with God to discover your vocational calling. They will keep your eyes on the Lord, and help you to see yourself and the world around you from God's perspective. The things to which God calls you will be challenging. Living your calling will require changes in your life. Keeping your primary calling primary builds your faith and trust in God so that you are able to answer "Yes!" to His call despite any fears and reservations. You trust that God is calling you toward something that is the very best for you, and have faith that He will provide what you need to fulfill that calling. Keeping your focus on the Lord also reminds you that your ultimate accountability for what you do with your life is not to your parents, spouse, boss, neighbors, society or yourself. Rather, you are called to live your life playing to an Audience of One: God.